December 2016 Main Speaker: Jim Morrow "Summiting Cho Oyu in Tibet"
Jim Morrow, a retired Auckland builder, is one of New Zealand's most accomplished mountaineers. His passion for the outdoors began at 13 on a school tramping trip and he has been a member of Auckland Tramping Club since he was 17. In 2005 he visited the Tibetan Himalaya mountains for the first time, summiting Lhakpa Ri Peak. In 2007 storms prevented him summiting Cho Oyu, the 6th highest mountain in the world. He made the first known ascent of the north side of Mt Himlung in Nepal in 2009 and climbed Everest's North Ridge in 2011. 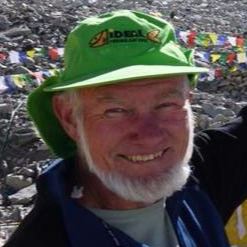 In 2012 Jim led an Auckland Tramping Club expedition to Nepal and in 2014 conquered Cho Oyu. This year he went to the Antarctic Peninsula and made the Shackleton Crossing of South Georgia Island. November 2016 Main Speaker: Andrew Gordon "A Life in the World of Opera"
Opera has a long and vast history in New Zealand, dating back to the 1860’s, and has stayed true to itself through many ups and downs over the years, to become a national enterprise that is at the forefront of producing the highest quality opera productions both in New Zealand and worldwide. Our speaker, Andrew Gordon, will take us through a journey of opera in this country, from its infancy through to today and beyond, as well as giving an insight into the company’s work beyond the mainstage. Andrew has a background in theatre and education, as an actor, writer and director. He joined NZ Opera in October 2015 as Audience Engagement Co-ordinator. His role sees him connecting with people of all ages within the community of Auckland to showcase the great work, both on and off stage, of the New Zealand Opera Company and he is especially passionate about introducing and igniting a passion for the arts within the youth of today. 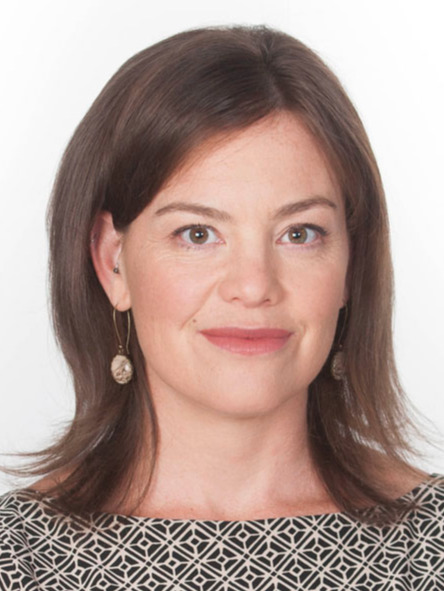 October 2016 Main Speaker: Julie Anne Genter "Climate Change"
In 2014, Julie Anne Genter attended former US Vice President and Nobel Laureate’s Climate Reality Project conference in Melbourne. Following the training, she has delivered many presentations around NZ. Julie Anne is an MP and the Green Party’s spokesperson for finance and transport. She graduated from Berkeley University with highest honours and distinction. She spent several years in France and speaks French fluently. At the prestigious Paris Sciences Po, she received a scholarship to study for a post graduate certificate in international affairs concentrating on political theory and economics. Focussing on the more concrete problems of town and city planning, she came to NZ and gained a first class Masters of Planning Practice at Auckland University. Before entering politics, Julie Anne worked as a transport consultant in Auckland for several years with ground-breaking research into transport economics and urban design. Living in Auckland, she is passionate about smarter transport planning to reduce costs and climate pollution and while creating more liveable cities. September 2016 Main Speaker: Jason Evans "The Browns Bay Centre Plan"
As a town planner, urban designer and historic buildings specialist, Jason has worked on a broad range of development projects in the UK including major housing schemes, town centre regeneration projects, public realm enhancement schemes, mixed use developments and historic buildings repair and reuse. Jason has previously worked as a building conservation officer, manager of an urban design team and senior strategic planner in New Zealand local government. Since relocating to New Zealand Jason has been involved in master planning, structure planning, public realm enhancement projects as well as highlighting development opportunities to improve the economic and aesthetic quality of cities and towns. 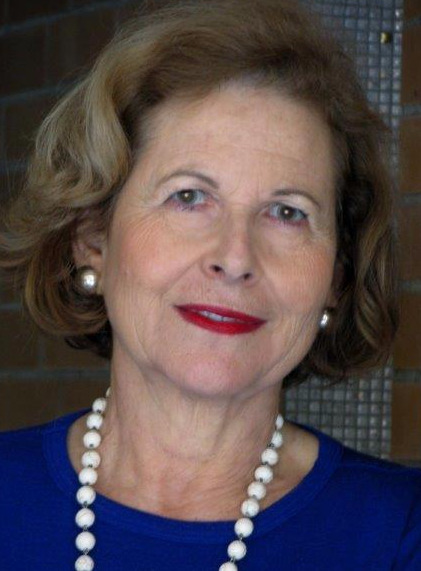 August 2016 Main Speaker: Dame Lesley Max "Creating a National Goal - Every Child wanted and nurtured"
Dame Lesley Max grew up on the North Shore, graduated from Auckland University and was a secondary teacher in London and Auckland. She wrote for Metro magazine for 13 years and wrote an influential book, “Children: endangered Species?” She is the co-founder and CEO of Great Potentials Foundation established in 1990; she devised the Family Service Centre model now in six locations; introduced HIPPY – Home Interaction Programme for Parents and Youngsters now in 44 communities; and started MATES – Mentoring and Tutoring Education Scheme now in 14 schools. She has had Government appointments in the fields of health and family violence, was awarded a Winston Churchill Foundation Scholarship and in 2010 was made a Dame Commander of the NZ Order of Merit for her services to children. July 2016 Main Speaker: Gillian Eadie "How are you protecting your Memory"
Beginning to forget things is not enough to diagnose Alzheimer's disease and in most cases Alzheimer's is not the cause, but it is a wake-up call. Exciting new discoveries in the field of memory are being made by the Memory Foundation. Co-founder Gillian Eadie will be speaking about strategies for building new brain connections as a buffer against memory loss in later life. Memory Foundation programmes are based on the internationally acclaimed research into age-related memory loss by her sister, Dr. Allison Lamont, who has her Memory Clinic in St Heliers, Auckland. Gillian Eadie is a highly experienced educator, author and Churchill Millennium Fellow currently with the University of Auckland. Gillian has featured in the NZ Herald and on TV One’s “Kiwi Living” on May 27th. She brings a wealth of experience to helping baby boomers and other age groups retain their memory skills. June 2016 Main Speaker: Paul Grace "25 years of Sir Peter Blake MERC"
After diverse experience in Sales and Marketing Manager roles in New Zealand and Australia and the role of General Manager at Waiwera Thermal Complex, Paul Grace has been General Manager of the Sir Peter Blake Marine Education and Recreation Centre at Long Bay for the past eight years. A not-for-profit charity, MERC offers marine-based environmental education and outdoor recreational experiences to schools, not-for-profit organisations, and business and corporate groups. 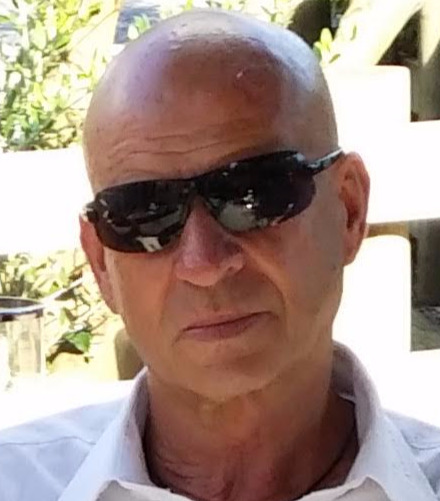 May 2016 Main Speaker: Dr David Rice "A Modern Understanding of Pain"
David Rice is a Senior Lecturer in Physiotherapy and Senior Research Officer in the Health and Rehabilitation Research Institute at Auckland University of Technology. He also works as a Scientific Officer in the Department of Anaesthesiology and Perioperative Medicine at North Shore Hospital. David has a PhD in Clinical Neurophysiology. His research focuses on the neuromuscular consequences and management of joint injury and arthritis, predictors of post-surgical pain, the mechanisms and management of chronic pain conditions and the effects of pain on movement and co-ordination. 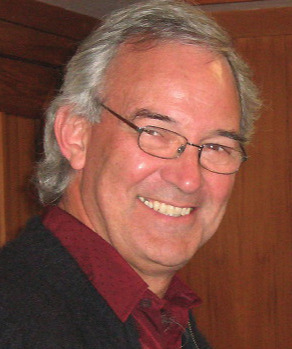 David has received six national research awards and one international research award for his work. April 2016 Main Speaker: David Williams "Magna Carta - feudal relic or contemporary constitutional cornerstone"
March 2016 Main Speaker: Carolyn Harris "Telling Tales - the story of your life"
This presentation is about exploring the value of telling our tales, the importance of starting now and who benefits from our tales. The focus is on what legacy we are leaving our future generations and how to get started on it. Carolyn Harris founded Telling Tales to ensure people’s life stories do get told. 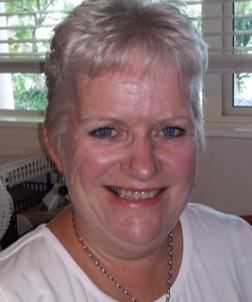 Her work in life stories began 22 years ago with the first documentation of a client’s life story through to publication. Since then Carolyn has been involved in many projects and, in particular, several years recording life stories for patients at the South Auckland Hospice. Recognising the therapeutic value of telling one’s tales Carolyn works with rest homes to promote the residents’ individuality through Life Posters, a tool that has proved effective in the communication between staff and residents. Carolyn’s own experience of family stories gone untold has further reinforced the importance of telling our tales sooner rather than later. 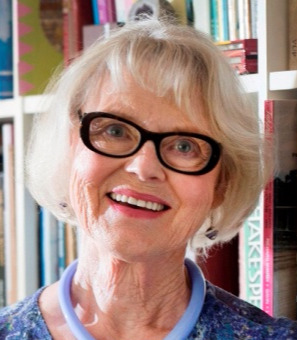 February 2016 Main Speaker: Jenny Schollum "From Bohemia to Puhoi"
Jenny Schollum is the historian for the Puhoi Historical Society. The photo shows her wearing her Chotieschau costume from the Egerland area of Bohemia . Jenny was born at Warkworth when her parents were farming at Tomarata. This was an isolated area and her older brother and sister had left home. After finishing school at Mahurangi College, she worked in the laboratory at Greenlane Hospital. Jenny married Murray Schollum in 1970 and was welcomed into Murray's large family and subsequently into the Puhoi Community and the whole family of Bohemian descendants. After a lonely childhood she enthusiastically embraced the lot and, upon joining the Catholic Church at Puhoi in 1982, she added another family. Jenny is full of admiration for the first settlers and fascinated by the whole Puhoi / Bohemian story. She enjoys doing puzzles and so works to put all of the pieces of history, genealogy and photos together, being amazed at how new information keeps turning up.